This post was first published by Croydon Advertiser on 20/01/2018. Here’s everything you need to know so you don’t get caught out in the traffic. Croydon Council has announced when and where roads will be closed in the borough for the rest of this month and throughout February. Following the sudden closure of Streatham High Road due to emergency sewer repair works which could last up to two week, we have broken down the council’s current planned roadworks. A full list of closures for November, going into December, is available on the council’s website. Residents who live in the homes around the road closure are usually sent letters from the council, but for those who are likely to simply be passing through, here is the full list of road closures and temporary traffic lights. This work started in November 2017 and is due to finish on February 15, 2018. A small local diversion is in place via Hilton Way, Wentworth Way and Limpsfield Road. SES Water are replacing a section of mains on Stites Hill Road until February 16. The works are being carried out under a road closure from Coulsdon Road to just past Rydons Lane. Diversions will be in place. Under 2-way lights on Northcote Road/Selhurst Road. Closures of The Crescent and Sydenham Road, with local diversions signed. TFL are re-modernising the signals at the above location. To facilitate these works temporary signals will be installed to replicate the existing permanent set up, including the pedestrian crossing points. During the off peak hours of 9.30am and 2.30pm one footway will be closed (at a time) with pedestrians diverted to the alternative footway via the pedestrian crossing points on either side of the works site. Due to an oil leak on a 400KV electrical cable, National Grid are having to perform an emergency repair. To facilitate these works 2-way signals are being installed, these signals will be manually controlled from 5.30am to 7.30pm each day. It is estimated these works will take ten days to complete, however due to the nature of emergency works this could change. Cappagh closed part of Streatham High Road in the early hours of Saturday morning (20 January) for emergency sewer repairs. The work could take up to two weeks to complete. SGN will be installing 2-way signals in Headley Drive (at its junction with Netley Close). These signals will be manually-controlled during peak times. A pedestrian walkway and a crossing point will be installed. 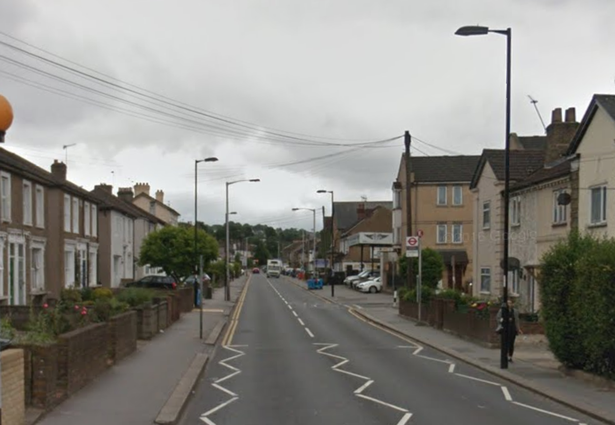 Kier Highways, on behalf of Croydon Council, will carry out resurfacing work at the location above. On-street parking will be suspended during works hours. Kier Highways, on behalf of Croydon Council, will be carrying out resurfacing at the location above. On-street parking will be suspended during works hours. SGN will be replacing a high risk main in Buttermere Gardens at its junction with Ingleboro Drive. These works are to take place in preparation for the carriageway resurfacing works to take place in Ingleboro Drive during the February half term. To facilitate these works multi-way signals will be installed, parking suspensions where required. Signals will be manually controlled when required. As part of the improvement works at the Parchmore Road Junction the council needs to close one lane of Brigstock Road outside of Thornton Heath train station to undertake this section of the works safely. The result of this is that westbound traffic will be diverted at the Parchmore Road Junction and return back to Brigstock Road along Melfort Road. To ensure traffic flows freely no waiting at any time including parking will be permitted where the current single yellow line runs along Melfort Road between the junctions of Brook Road and Brigstock Road and we also need to install traffic control lights at the Brook Road / Melfort Road Junction. Under 2-way lights on Selhurst Road. Closures of Gloucester Road and Dagnall Park, with local diversions signed. Warham Road between Violet Lane and Bramley Hill will be closed during the February half term. The closure is required to allow for a new UKPN connection to a redevelopment. Diversions will be in place and Tfl buses are fully aware. Thames Water will be carrying out a new connection on Brighton Road (near the junction of Wyche Grove) under 2-way signals. The signals will be manually-controlled at peak times. Under 3-way lights on Selhurst Road and Willow Wood Avenue. Closure of Selhurst New Road, with local diversions signed. Rydons Lane will then follow on February 5 to June 17. Again a closure will be in place. Under 3-way lights on Northcote Road and The Crescent.